A company is ISO compliant when it follows the guidelines issued by the International Organization for Standardization (ISO). Typically, these guidelines become formalized with a certificate of compliance, called ISO certification. 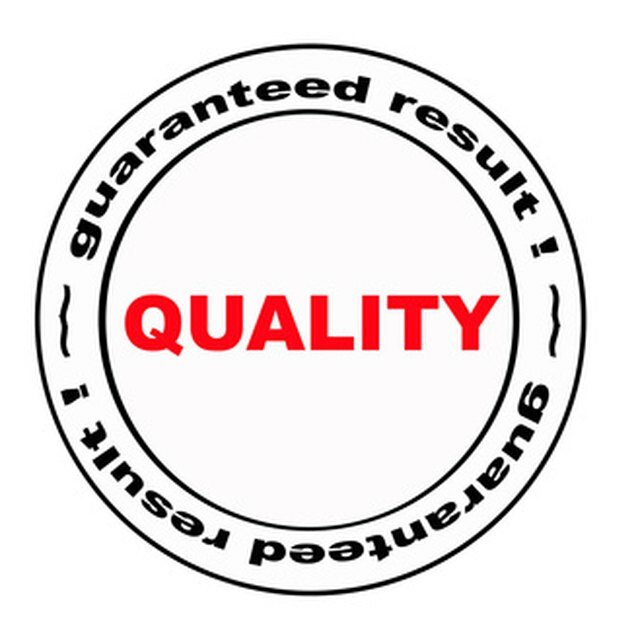 The most adopted set of standards from ISO, called ISO 9001:2008, describes a quality management philosophy aiming at achieving customer satisfaction. When a company states that it is ISO compliant, it typically means that it adheres to the ISO 9001:2008 standards. The International Organization for Standardization, headquartered in Geneva, Switzerland, works with more than 160 nations to regulate industry standards. This non-profit center develops standards by invitation with industries and countries. The ISO aims at resolving interoperability issues among equipment and industry practices. Since its first set of standards in 1947, ISO has generated in excess of 18,000 guidelines. ISO compliance may be an internal code of conduct where employees follow the principles of one of the ISO standards. It may also represent an external stamp of approval by an accreditation firm when customers or partners request documented proof of compliance. ISO certification represents a strong marketing tool and is displayed on the company's website or announced in press releases. Internal or external audits establish that companies deployed measures to follow the intent of ISO standards. Internal auditors usually represent employees from the quality department or hired consultants expert in the art of helping companies align with ISO principles. These activities support the efforts to get ready for a formal ISO certification process. External auditors contracted by accreditation agencies visit manufacturers with the special goal of assessing the company practices and approving or declining ISO certification. A company advertising its ISO compliance typically implies compliance with ISO 9001:2008, a quality management set of standards that focuses on customer satisfaction. ISO 9001 bases its principles on the belief that tight process control and close monitoring of outcomes ensure that the results meet customer specifications every time. Therefore, the standards place great emphasis on documenting how employees do their work the best while asking them to follow the written instructions to the letter. Companies which endorse ISO standards must allocate staff resources, monitoring equipment and frequently pay large auditing fees. This investment is recovered in the form of new customers who value the ISO standards as well as increases in sales. David Levine, Professor of Business at the University of California, Berkeley, studied 1,000 companies which received ISO 9001 certification over a period of 11 years and noted a 9 percent increase in sales specifically attributable to the ISO certification. More than 900,000 organizations located in 170 countries have endorsed ISO 9001:2008.